In India we have many institutions of Astrology. To draw the attention of Central and State governments towards all these institutions and for a united effort for rehabilitation of astrology, All India Federation of Astrologers' Societies has been founded in Delhi on 9th May 2001 i e Samvat 2058 Jyeshtha Krishna Dwiteeya Wednesday in Anuradha nakshatra and Parigh yoga. To work for the unity of astrologers, palmists, numerologists, vastu specialists and practitioners of any occult science and to create a common platform for them. To run, manage, supervise and organize education & training centres, teaching courses for astrology and other occult sciences. To perform, manage or call for various yagyas, anushthans or lectures on spirituality and occultism by various learned personalities for the development of vedic science in India and abroad and thus aim for world peace. Who can form a chapter ? Any person or organisation interested in teaching Astrology, Palmistry, Numerology or Vastu willing to do so under the auspicies of Federation can form a chapter and can start class. What all the benefits to the chapter by teaching under the Federation vis-a-vis independently ? The chapter by being associated with big organisation namely the Federation assumes big name and gains quality and quantity with less cost. The chapter assumes all India status. The chapter gains by being associated with other activities of the Federation. The Federation will look after the activities of the chapter and will get assistance and guidance from time to time. There will be a platfrom to the chapter to express grievences to the State Government and Central Government . The Federation being registered and all India body can pressurise the State and the Central Government to recognise and arrange other necessary activities of astrology. The Federation can apply for the grant of the funds to run astrological activities and the chapter will be benefited by the activities. The advertising in Future Samachar will be available free for the Federation. In case of shortfall of teachers, mutual arrangements will be done with the help of the Federation. The Federation will try to provide horoscope to students / teachers of the chapter for teaching purpose. What will be the functions of the Federation ? Identity Card & Certificate to students of the chapters will be issued by the Federation. Examination papers will be set by the Federation. State bodies will take care for the checking of papers & preparing of the result and send same to the Federation. The Federation will provide 6 months subscription of Future Samachar to every student of the chapter free of cost. All India Advertising will be done by the Federation & the state level advertising will be done by the State Governers of the Federation. The expenditure will be divided amongst the chapters. The Federation will try to give facility to students/teachers for making horoscopes through internet or otherwise. What will be the functions of the State? The State will do the checking of papers, prepare the result and send the same to the Federation. If needed it will arrange for advertising in the State and get the expenditure from chapters in proportion. What will be the functions of the chapter ? The chapter will make arrangement for class rooms, teachers and other necessary requirements to maintain uniformity and standards of teaching. To form a reference book library for the students. advised to advertise in local newspapers, leaflets and other etc. to make the center familiar in the locality. Vastu Rishi : After Vastu shastracharya or those students who are aware of Vastu laws but are unable to use it should opt for this course. In this course special emphasis is on rectification of Vastu faults. Vastu details for offices, industries, buildings and cities, temples etc. are taught in this course explained. Vastu Maharshi: Like Jyotish Maharshi, Vastu Maharshi has been designed for research in Vastu. For this programme, research and publication of papers on Vastu are essential. Ank Jyotishacharya : Numerology is taught in this course. Student is taught about radical no., lucky no., name no. and the method of prediction using these nos. How to set your name using numerology is taught here. Samudrik Shastracharya : This course is suitable for those students, who wish to learn Palmistry, face reading and prediction by studying different parts of body. Samudrik Maharshi : Like Vastu and Jyotish Maharshi, in this course students undertake research on Palmistry, Shapes of face and Numerology and publish their research papers in journals. Jyotish Ratna : This course has been designed for amateur students who are putting their first step into astrology. The course comprises of (i) Fundamental Calculations (ii) Planets in different signs and houses of horoscopes (iii) Predictions by Horoscope. (iv) Using of panchang is also taught. This course is meant to give a grasp of fundamentals of astrology. Jyotish Bhushan : This is a second step in astrology after Joytish Ratna. Here, additional calculations and complete analysis of horoscope is taught. 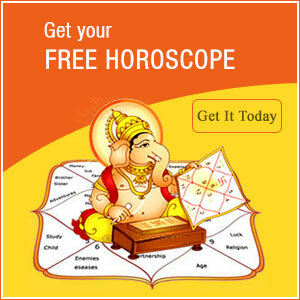 A comprehensive information is provided on Horoscope Matching and Muhurtas. After this course the student is able to predict or match the horoscopes and find muhurtas of common use. Jyotish Shastracharya : This is the last step of Astrology course. Predicting events of the country and the world and forecasting weather are taught. The most important part of Astrology i e Analysis of events and fixation of time are included. Student has to select one out of 4 elective subjects. (i) Palmistry (ii) Numerology (iii) Jaimini Methods (iv) Lifespan analysis. This course is completed in 1 semester i.e. 6 months. Jyotish Rishi : This course is meant for those astrologers who know astrology and are practising it but are not strong in forecasting. This course shall contain exercises on syllabus taught up to Jyotish Shastracharya course. As this program is meant only for practical exercises, there will be only one class in one week and the course will continue for one year. Jyotish Maharshi : This program is meant for research and is equivalent to Ph.D of a university. Collection of data and research are the aims. To verify the theories described in ancient texts and to formulate new principles are the main objectives. The duration may be 1 to 2 or 3 years. A thesis and publication of articles in journals or magazines are essential for this study. The course fee for every programme is US$ 200.00 which includes registration charges, study material and examination fee. No other fee is payable. dentity Card : All the students will be issued a photo Identity card after full payment of the course fee. Additional Information : Normally, all the information described in this booklet are applicable to all the chapters. However few chapters may change coaching days, duration, time or place. For this kindly contact the Chapter chairman. There are no prerequisites of knowledge in Astrology for Jyotish Ratna, Vastu Ratna, Ank Jyotishacharya and Samudrik Ratna. Any person who has passed 10+2 can get admission. The admissions are given in the following steps. Jyotish Ratna, Jyotish Bhushan, Jyotish Acharya, Jyotish Shastracharya. After passing Vastu Ratna admission may be sought in Vastu Shastracharya. Simillarly, after Samudrik Ratna admission may be sought in Samudrik Shastracharya. Rishi Programme is equivalent to M.Phil. of a university. In this study of original texts and examples of important personalities or buildings is done. A revision of the basic course is also done. The practising astrologers, Vastu specialists or Palmists who are desirous of strengthening their knowledge may take admission in Rishi Programme. 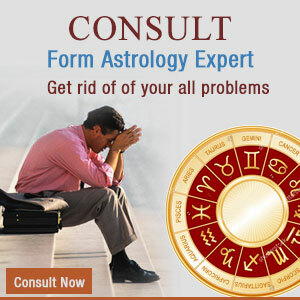 The minimum requirement for Jyotish Rishi is Jyotish Shastracharya or equivalent or 3 years experience in astrology. Practising Vastu specialists or having done Vastu Shastracharya, one may join Vastu Rishi. Simillarly after Samudrik Shastracharya or practising Palmist may join Samudrik Rishi. For research in astrology, admission may be taken in Jyotish Maharshi. For this requirement is Jyotish Rishi or 5 years experience in astrology. For research in Vastu admission is offered in Vastu Maharshi. For this vastu Rishi or 2 years experience in Vastu is essential. For research in Samudrik Shastra students may take admission in Samudrik Maharshi. The desired qualification for admission is Samudrik Rishi or 2 years experience. Every course will be conducted in Hindi, English and regional language. The study material will also be provided in same language. If due to some reason the text material is not available in regional language then the students may opt for Hindi or English texts. However the student can write in regional language in examinations. The desired study material will be provided to every student by the centre. Required text book or lessons will be given to students. Additionally students will be given horoscopes in astrology courses or a compass etc. in vastu course. A list of additional recommended books will be given to you which you can purchase from the market. The examinations will be conducted at the end of semester. Each course shall comprise 2 papers. It is essential to secure minimum 33% marks in each paper. Minimum 50% marks are required in aggregate. Only then students will be issued a certificate. The unsuccessful student may sit in examinations in the next semester after paying additional examination fees of US $ 50.00. In Rishi course one has to write detailed analysis of an example problem and a thesis on comparitive study of two or more texts on a given subject. It is necessary to obtain minimum 33% marks in each and minimum of 50% marks in aggregate. For Jyotish Maharshi, the viva voce examination for thesis will be conducted by an expert of that area and his decision will be final for approval of thesis, completeness and new ideas will be the deciding factors.